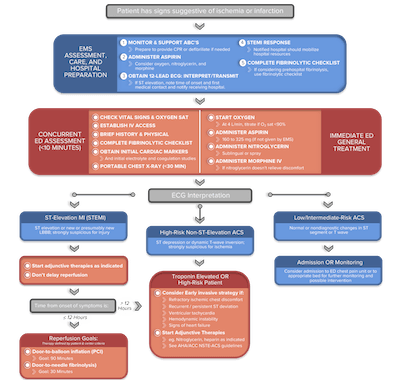 The ACLS algorithms are a continuation of resuscitation attempts for those patients who have been evaluated and found to require advanced resuscitative measures after CPR and defibrillation during the BLS Assessment. 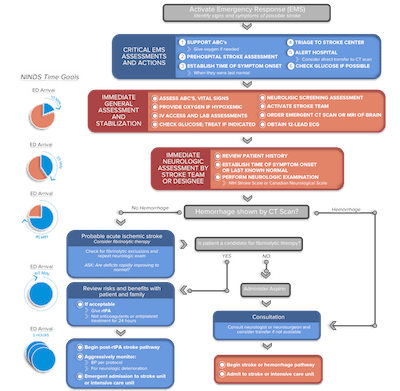 The Cardiac Arrest Algorithm is the most critical algorithm of ACLS. When you have a patient without a pulse, you must recognize either ventricular fibrillation (VF) or pulseless ventricular tachycardia (pVT) as shockable rhythms. 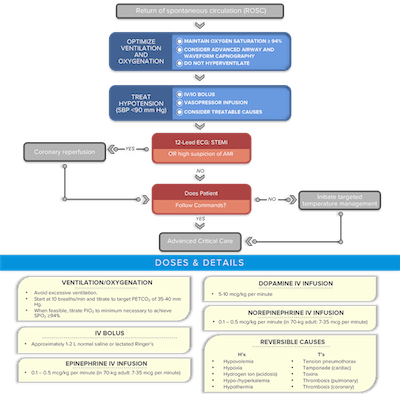 In contrast, you do not shock PEA or asystole, and must follow another pathway of the Cardiac Arrest Algorithm. 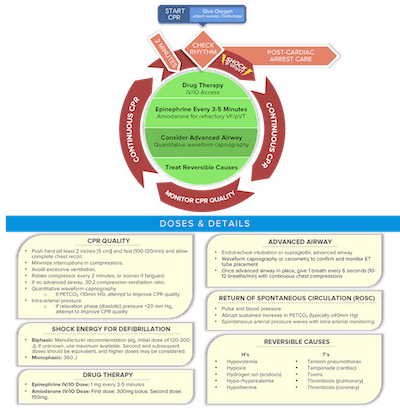 The key component of treatment for VF and pulseless VT is rapid defibrillation. 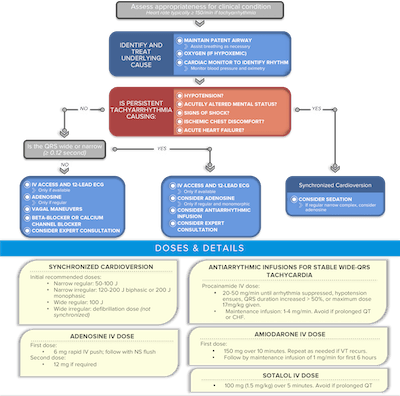 A manual defibrillator is preferable, if available, since an AED may require prolonged interruptions in chest compressions while it analyzes the rhythm. Stacked shocks should NOT be used. 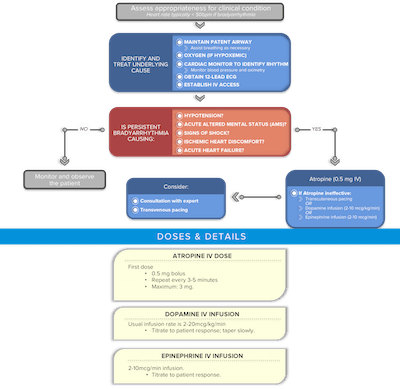 Defibrillators can be biphasic or monophasic. Most defibrillators available today are biphasic, which means that the electrical current travels from one paddle to the other and back again. This requires less energy to restore normal heart rhythm, and is believed to result in less cellular damage in the heart while reducing skin burns. 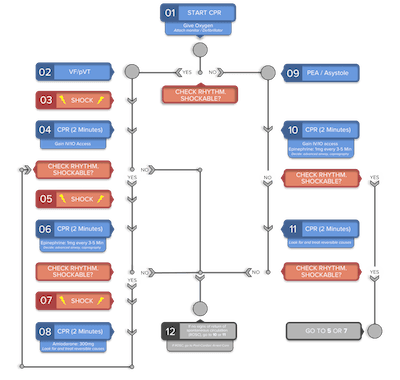 Minimize the interruption of CPR for shock, rhythm check, and pulse check. Continue compressions while the defibrillator is charging.